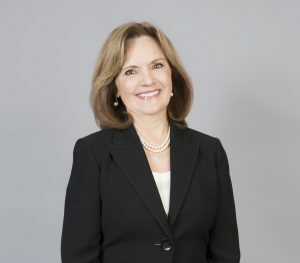 As a member of The BaronHR Family of Staffing Companies Board of Directors, Gay Carnello helps set the company’s strategic direction and advises Founder and Chief Executive Lou E. Perez on a variety of business and operational issues. A retired public school administrator with more than three decades of leadership experience, Carnello has managed hundreds of employees while meeting the needs of thousands of students and their parents. A former elementary school principal, Carnello’s responsibilities have included monitoring local, state and federal education funds; overseeing employee development, supervision and evaluation; and managing state and federal education programs as well as local and state assessment programs. Carnello was formerly interim special education director for Rowland Unified School District (RUSD), where she oversaw more than 200 specialists assisting 2,000 special-needs students. She also has handled an array of district-level responsibilities, including employee negotiations, curriculum development, employee-supervision systems and staff development. In addition, she served on the RUSD’s budget task force. Carnello has served on the district’s School Site Advisory Board, the Rowland Elementary School PTA Board, and the RUSD Negotiation Team. She has been a member of the California State University-Fullerton Advisory Board and a consultant to the California State University-Los Angeles Master Teacher Program, the Cal State Los Angeles Bilingual Teacher Program, and the Azusa Pacific University Master Teacher Program. She is a former member of the La Puente City Planning Task Force and continues to volunteer as a CASA (Court Appointed Special Advocate), providing mentoring and advocacy services to abused and neglected children who have been removed from their homes. Carnello’s contributions have been recognized by numerous local and state organizations. She received the California Department of Education’s California Distinguished School Award, the California School Boards Association’s Golden Bell Award for Parent Involvement, the Rowland Unified School District’s District Administrator of the Year award, and the City of Industry’s Women of Achievement Award. Carnello received an associate arts degree in quantitative analysis and inorganic chemistry from Los Angeles Trade Technical School. She later earned both a bachelor’s degree and a master’s degree in speech pathology and audiology from California State University, Los Angeles and a master’s degree in educational administration from the same institution. Help BaronHR give back through the Lou E. Perez Foundation. Copyright © 2019 BaronHR. All Rights Reserved. The BaronHR Family of Staffing Companies is an Equal Opportunity Employer (EOE).